Masterton Trust Lands Trust and its assets are a legacy left to the people of Masterton by the pioneers of the Small Farms Settlement Association, founded in the 1850s. 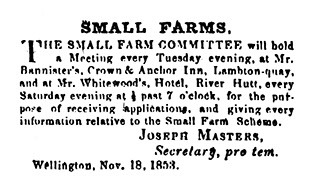 Joseph Masters, a Wellington barrel-maker and self-appointed spokesperson for the Wellington working men, met with the Governor, Sir George Grey, and requested 25,000 acres in the Wairarapa be set aside specifically for small farm settlement, to enable working class people to purchase land. If suitable land could be found and Māori owners were willing to sell, the Government promised to buy the land and make it available at a reduced price for small farm settlement. Land was located and chief Te Retimana Te Korou and others agreed to sell some of this land to form a town. As it turned out, no single area of 25,000 acres was available so the Small Farms Settlement Association Committee accepted the land in two separate blocks – a decision which ended plans for a single large town and resulted in the establishment of Masterton and Greytown. Each town comprised 100 acres laid out in one-acre allotments. These were surrounded by 100 suburban sections of 40 acres each, and rural sections of up to 100 acres. Each purchaser of a 40-acre suburban section was entitled to a one-acre town section. By the end of the 1850s, unsold land plus a 20-acre town block in each town, and some abandoned allotments remained. The rules of the Association required that this land be put up for auction and the proceeds applied for the benefit of the town, but the Masterton land would not sell – not even for two pounds an acre! 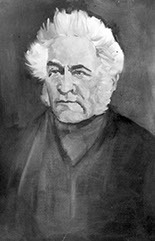 Charles Carter, as trustee for the Small Farms Settlement Association, leased the land and then set up a trust in 1867 to handle the income from it. However, this did not meet the needs of the settlers and dissension arose among the Committee over the trusteeship of the Association’s funds and property. 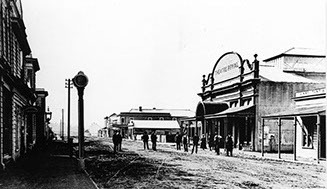 Originally a single trust dealt with the affairs of both Greytown and Masterton but in 1871 an Act of Parliament legally separated the settlements with each being given its own Board of Trustees. Following this, the Wellington Provincial Council passed the Masterton Trust Act. This Act provided for the election of six trustees by the people of Masterton to control the Masterton Trust Lands. 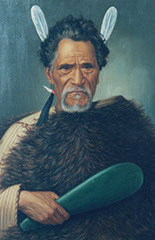 Through these Acts of Parliament, the ownership and control of the trust lands was restored to the people of Masterton and the Masterton Trust Lands Trust was established. Except for some amendments broadening the interpretation, the Trust’s objectives have remained unchanged to this day.